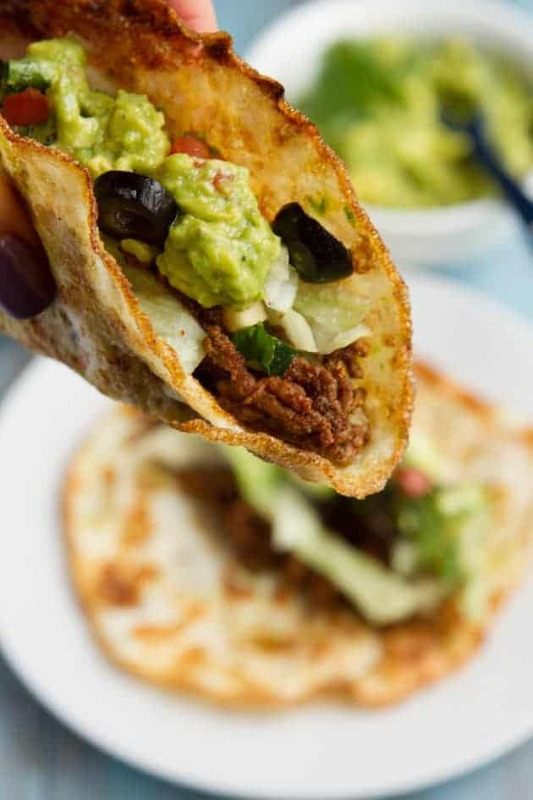 Warm flour tortillas stuffed with burrito filling….Crunchy tortilla chips covered in guacamole and cheese….Soft tortillas that you can fill with your customized fajita filling….This all sounds so amazing! Tortillas are amazing and they are such a versatile and delicious food. Certain cuisines are actually based completely around the tortilla because of its ability to go with almost any flavor. The best example of this is Mexican food where the tortilla is king and can be found in practically ever dish imaginable, breakfast, lunch and diner! Tortillas are also a vessel for so many other foods (you can’t have a taco without a tortilla!) which means you actually need them if you want to eat! Tortillas have certainly cut a nice market space for themselves and really are a food you may not be able to survive without. However, there is one flaw in the traditional tortilla and that is….carbs. So, so many carbs. When going on a diet, especially a low-carb diet, sometimes it’s not even the specific foods that you starts to miss but more the simplicity of things. Often knowing that low-carb foods are a better option isn’t enough to keep you from really wanting that bag of potato chips. Your mind is telling you not to eat those chips and you know better than to reach in the bag but your stomach is still grumbling, craving a simple chip. These are the moments when you will want to turn to Low-carb tortillas and no carb tortillas which can be a godsend in these moments. When you just need something in your diet plan to be easy and tasty, they’ll be there ready and waiting for you! All you have to do is know how to make them or where to buy them Once you have that under control, there is no stopping your tortilla fueled adventures! One of the reasons you may love regular tortillas is that they really are such an easy meal option. With a pack of tortillas on hand, you can make burritos, tacos, fajitas, flautas, chips, salad bowls and so much more. When starting a low carb diet, you may miss this convenience more than anything which is why it is important to make tortillas convenient once again in order to resist buying that pack of normal tortillas at the store. But how could homemade tortillas ever be as convenient as regular tortillas? Simple. Many of the recipes listed here are easy to make in bulk and lots of the recipes will freeze well. That means you can spend a few hours making lots of low carb tortillas, wrap them up, freeze them and store them for later. Then, when you need to satisfy a tortilla craving, you already have homemade, low carb tortillas ready to go! They are convenient once again! Preparation is key in making your diet work and avoiding the foods that you may really want but shouldn’t have. 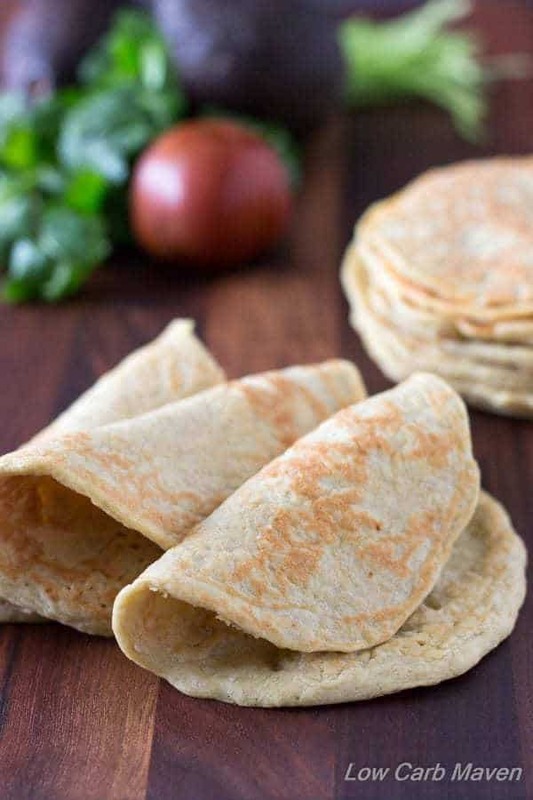 In addition to tortillas being a convenient food when you have them on hand, they are just convenient themselves as they can be made into so many different things. Low carb tortillas are no different in this respect as you can use them in the exact same way you would use a regular tortilla. You can use low carb tortillas for wraps, snack foods, entrées, appetizers and more. This versatility is also exactly what you need in your diet plan! When you are able to easily make many types of foods using one simple ingredient ( a tortilla), you will never get bored or tired of the foods that you are allows to have. Eating the same thing over and over is one sure way to end a diet early- no one likes eating mundane food! But tortillas are exciting, they are delicious and they are a jack of all trades, performing one food feat after another! Tortillas really are a way to make the challenges of dieting more simple and achievable. Now, let’s take a look at one of the most important things that a tortilla needs to have and that is taste. Traditional tortillas usually taste good but they do not have too much actual flavor. They are slightly bland and that is why they go so well with such a wide variety of foods paired with them. 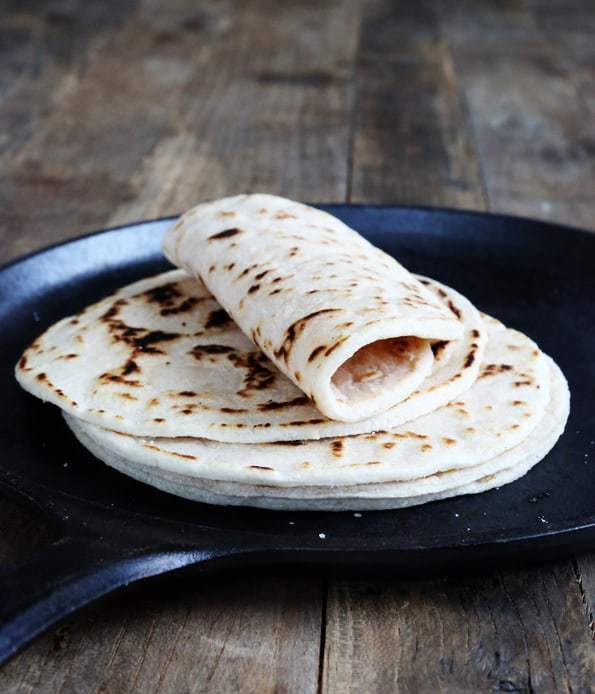 This lack of flavor can be a very good thing in the case of tortillas but it is also something that most people wouldn’t mind changing When given the option of a basic tortilla and a really flavorful tortilla, which would you choose? Why the one loaded with flavor of course! 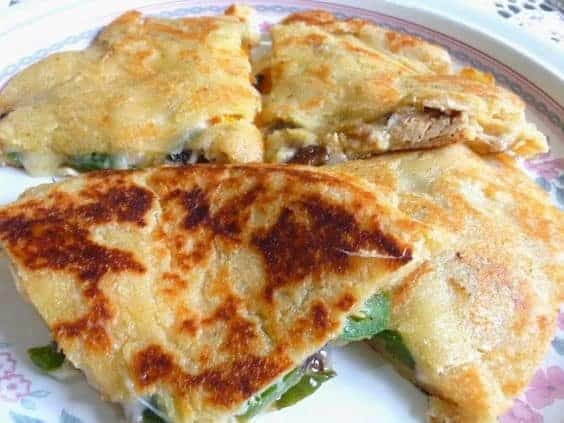 With these interesting and creative low carb recipes, you will find many new types of tortillas that are so flavorful and exciting that you will never even consider eating a regular old tortilla again. Spices, vegetables and different kinds of flour is what makes a lot of these recipes really stand out. So, if you were worried a low carb tortilla would have no taste, think again! They are actually tastier than those regular old tortillas you use to eat. These low carb tortilla recipes can also be use to satisfy bread and snack cravings that you may have. 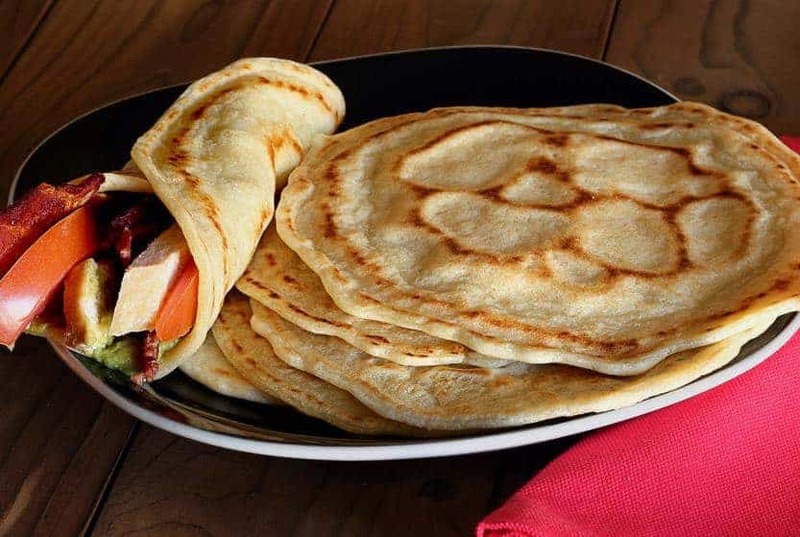 While they are not exactly a bread, they are very close to it and if you really need bread, opting for one of these tortillas is a fantastic idea. You will stick to your low carb lifestyle while still being able to eat something that is from the realm of bread. 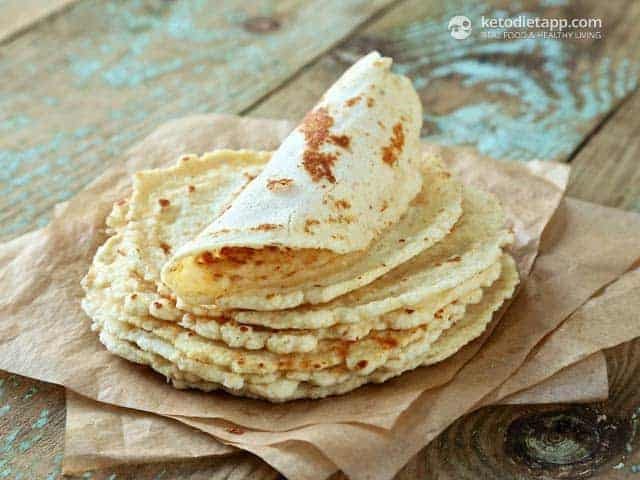 If it is not bread you crave but rather a crunchy snack, reminiscent of those old carb loaded chicp you use to have, then these tortillas can also help you in that department. With the right ingredients, you can make a delicious no carb tortilla chips, meaning you get all the snack value without abandoning the search for the healthiest low-carb foods you can make. If you do go off to make some low carb tortilla chips, make extra- you’re going to want to have them on hand! Make a big batch then store them in airtight containers to enjoy anytime you’d like. While you can fry the low carb tortillas in order to make tortilla chips, try baking them on a sheet tray a try. This is a much healthier method of cooking that will work just as great as frying to crpis the chips but skip the fat entirely. 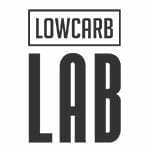 Low carb, flavorful taste and low fat? Sounds like the ideal snack! Low-carb tortilla chips are especially great for a diet when you are someone who typically loves regular tortillas. Those standard tortilla chips that you use to munch on actually have an average of 22 grams of carbs per ounce, which is pretty high for any diet plan let alone a low carb plan. However, surprisingly, the amount of carbs in tortilla chips is already lower than most snack foods which is super lucky for you! 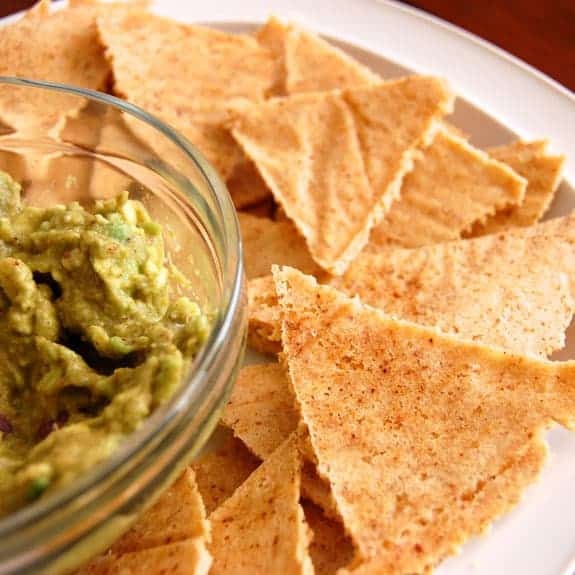 Tortilla chips are often higher in fiber and nutrients than other junk foods like crackers or potato chips as well which makes them a great choice of snack even when you can’t find the low carb version or whip up a batch of them yourself. Yet, when you do have the time, with the right recipe, you can get low-carb tortilla chips that have about 6 grams of carbs per ounce- what a huge difference that is without even having to do too much work! It may also shock you to learn that when you change the flours and other ingredients, it will only add to the nutritional value of chips. Almond flour for example is much more nutritious than corn flour as it has healthy fats, vitamins and minerals and also antioxidants that corn does not. Almond flour tortillas for the win! Your diet is sounding better and better by the minute. 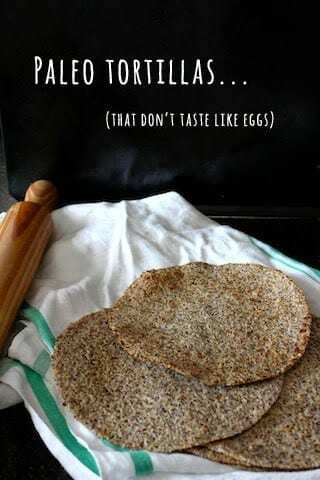 So once you have mastered the low carb tortilla (maybe you chose to make the flaxseed tortillas or perhaps the cauliflower tortillas- whatever you choose, it will be great! ), the next big question is what to put in these tortillas. While yes, you definitely can just eat them on their own, most people like to stuff their tortilla with tasty meats, cheeses and vegetables. What is great about these tortilla recipes is that they really do act the exact same way a traditional tortilla would. So, if you like your homemade burrito mix, toss it into a low carb homemade tortilla! If you are a big fan of your signature breakfast wrap, keep making it with these tortillas as well, just as you use to. You will never even notice that they totilas are new…. 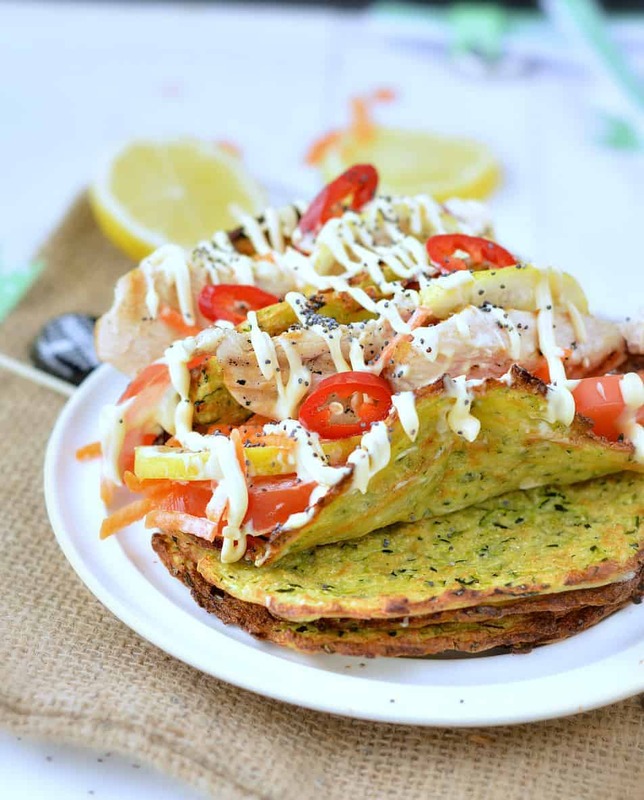 If you do not know what to put inside our low carb tortilla then so not worry. This site has many recipes that not only highlight how to make low carb tortillas but also outline what to put inside them . 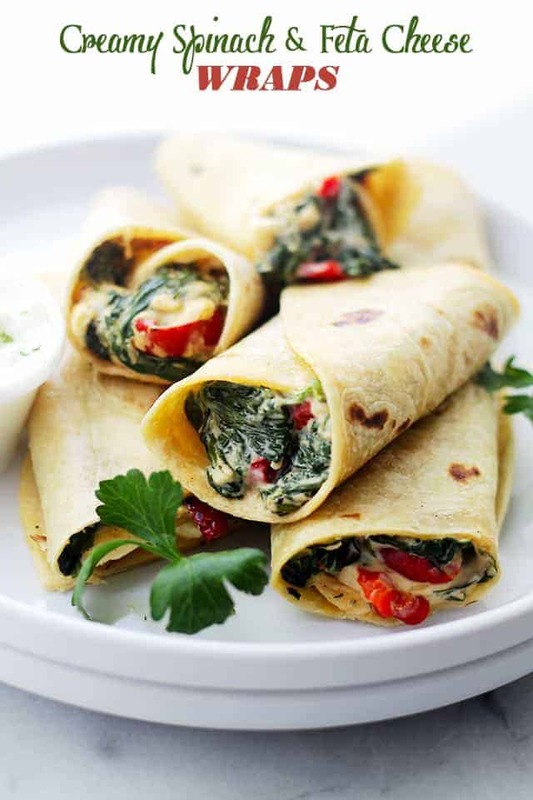 From spinach feta breakfast wraps to strawberry cheesecake tortillas, there is a recipe for everything and everyone! The best part about all of the recipes here is that not only are the tortillas low carb but all the food inside that you will be cooking with are low carb as well. The bottom line is that with this list of recipes on hand, you never have to question if you are eating low carb. All of these tortilla recipes have been thoroughly checks and passed the low carb test! Full tortilla meals are ready to go and diet approved! When you are on a diet, it is clearly important to know how to settle your cravings, or eventually you’ll break your diet. So many people fail their diet attempts this way and it is not surprising. It can be a challenge to tamper evey craving, every subtle desire and also break all of your old eating habits at once. In fact, it sound downright impossible! Yet, you don’t need to fall into this trap. Don’t let the need for certain snacks ruin the progress you have made! There are plenty of ways for you to satisfy your need for foods without giving in! You just need to know how to do it. Low-carb tortilla chips can satisfy snack cravings (which can be a surprisingly large part of diet cravings) and keep you on the right track when it comes to your low carb diet plan. These recipes will help you stick to your diet goals while having some of the tastiest tortillas that you have ever had. Even if you ever do leave the low carb lifestyle, chances are you will still make these low carb tortillas, they are just that good! But for now, when you just need a snack, low carb tortilla chips are a perfect option. By cutting down the number of carbs in the tortilla chips you consume for snacking, you’ll make a notable dent in the number of carbs you’re taking in. As you read before, your carb intake can drop from 22 grams of carbs in regular tortillas to just 6 grams in some of these low carb options- just one snack change can make that big of a difference! You’ll be reaching all of your diet goals in no time when you are making big changes like this! 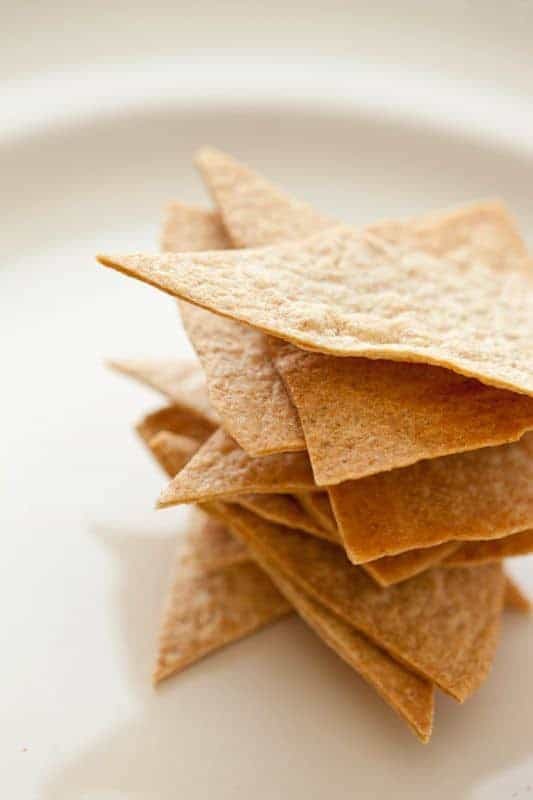 These low-carb tortilla chips laso taste just as good, if not better, and will quell the need for a snack, making it easier for you to keep to the diet plan you’re working on. Many of the recipes can also be customized to be tastier for you. A few of your favorite spices sprinkled on top of the tortilla chips and you will be ready to eat, never once looking back on those old, carb filled tortilla chips! 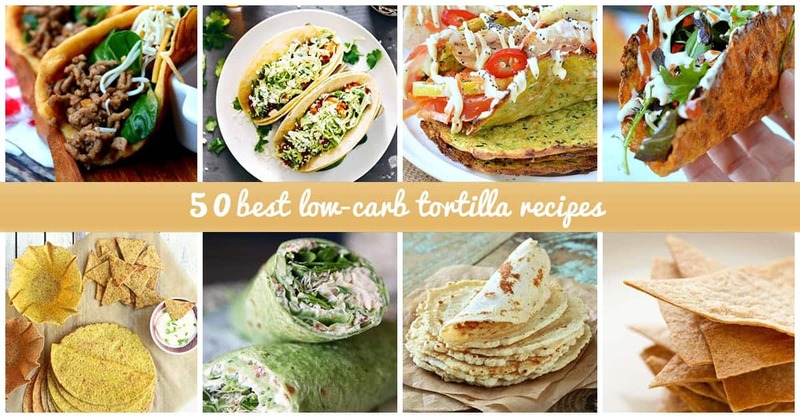 These 50 Low Carb Tortilla Recipes Will Make Your Diet Feel Like A Breeze! This recipe is a great replacement for soft tortillas. 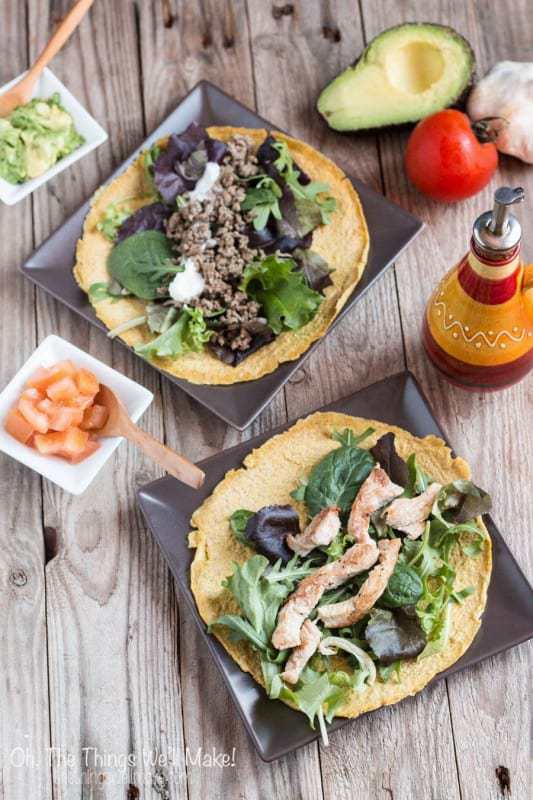 The ground pork rind ‘flour’ gives these low-carb tortillas a salty, spicy flavor that goes absolutely perfect with taco ingredients, but keeps its carb count low enough that you’ll stay right on track with your diet. If you’re not feeling taco night, these tortillas still have a thick, sturdy structure that makes them great for other salty foods like sandwiches or gyros. You can try to roll them thin for wraps too. 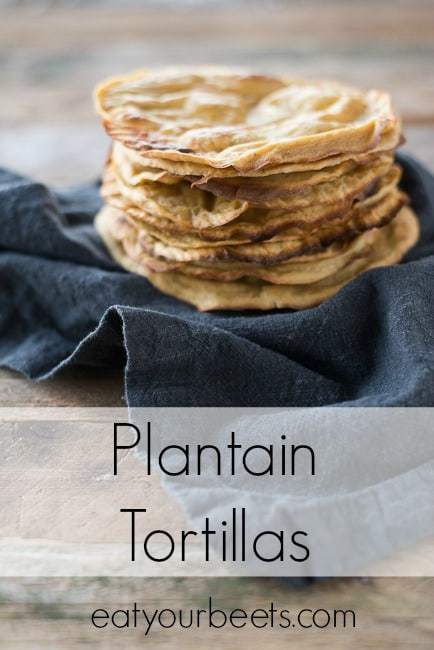 These tortillas are not only great for a low-carb diet, they are also entirely paleo and come loaded with flaxseed, a super food that’s super great for high cholesterol, high blood pressure and even depression. If that’s not enough to get you hooked on these tortillas, they are as easy to make as they are healthy. They keep well for days and are thin and flexible, meaning they’re perfect for a quick and healthy wrap. Make a big batch and keep them on hand for anytime you need a quick tortilla fix. 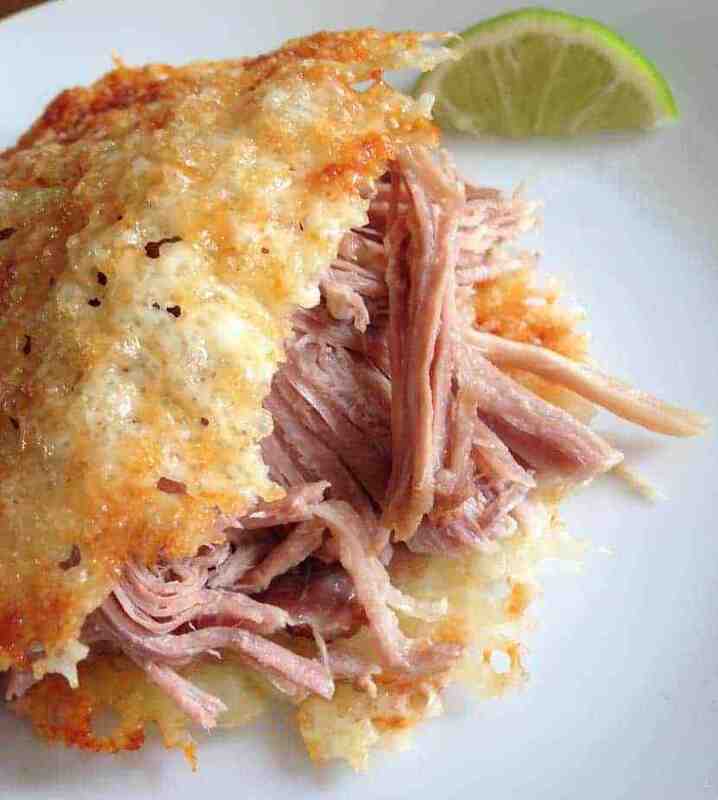 For a stiffer low-carb option that might taste more like the crispy fried tortillas we’re used to, this recipe is a must. 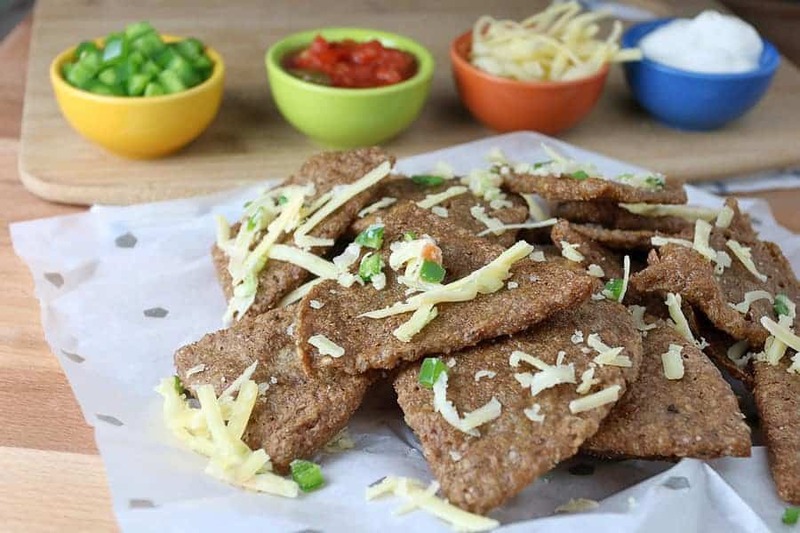 Using a combination of mock flours, this recipe gives some crunchy, nutrient rich, low-carb tortillas that make a killer chicken quesadilla. Exactly what you’ve been waiting for! Like the earlier recipes, this is a piece of cake to prepare and just as delicious. Just mix up the ingredients and the tortilla can be fried in minutes! These no-carb tortillas are a little more creative and take a bit longer to make, but they are every bit as tasty as the previous ones. They are thicker and softer than most tortillas, but they taste wonderful. They are much easier to make in small sizes, making them ideal for mini-sandwiches. These make great low-carb foods for parties and appetizers, and are also great for a quick meal or snack. Mini tortillas as great for a low carb snack! These low-carb tortillas look and feel just like regular tortillas. They use mock flours that carry very little extra taste, meaning you can choose your seasoning to fit whatever dish you want to make with your tortillas. Try some cayenne for a little spice or cinnamon for a sweet taste. These tortillas have a strong texture, meaning they will survive a little manipulation. This makes them spectacular for burritos and wraps, and makes it easier to make bigger tortillas that are ideal for most entrée dishes. These two recipes are gluten, grain and dairy free options. They make great tortillas that stay nice and soft. These recipes might be a little further from the familiar taste of regular tortillas, but they have a good texture and a good taste of their own, but with the added benefit of being healthier and free of several common allergens, making them a low-carb tortilla recipe for anyone who has further dietary restrictions that might complicate a diet. Try something a little new and different and you may be surprised how great they are! Want a great snack but feeling a little behind on your diet goals? Go for an extra low-carb option! These BLT wraps have all the crunchy goodness that we know and love in our BLT sandwiches with only a fraction of the carbs. Choose a low-carb mayo or make your own carb free mayo to cut that carb count down even further. 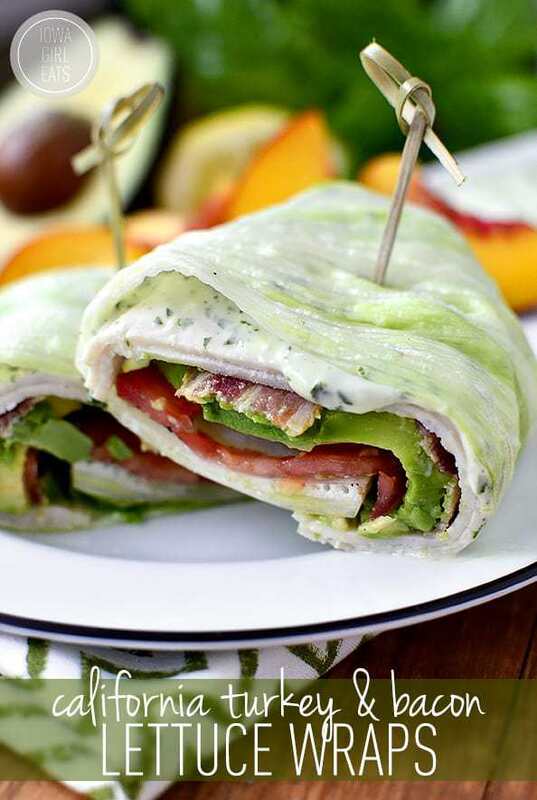 With a carb free mayo, this snack is totally carb free without losing any of the advantages or taste of a classic BLT! Gotta love a twist on a classic! Not a big fan of wheat tortillas? More of a corn tortilla person? These corn tortillas are almost exactly like the real deal. They’re soft, malleable and taste wonderful. They’re also grain and nut free! They don’t take a lot of skill to make, and are oven-baked, meaning it’s easy enough to choose how thin you want to spread them according to what kind of texture you’d like to see. Healthy, easy and versatile is what lands these tortillas on this top 50 list. Get your daily veggies and your snack fix in one go. Zucchini has lots of nutritional value, but might be a bit of a milestone for pickier eaters. 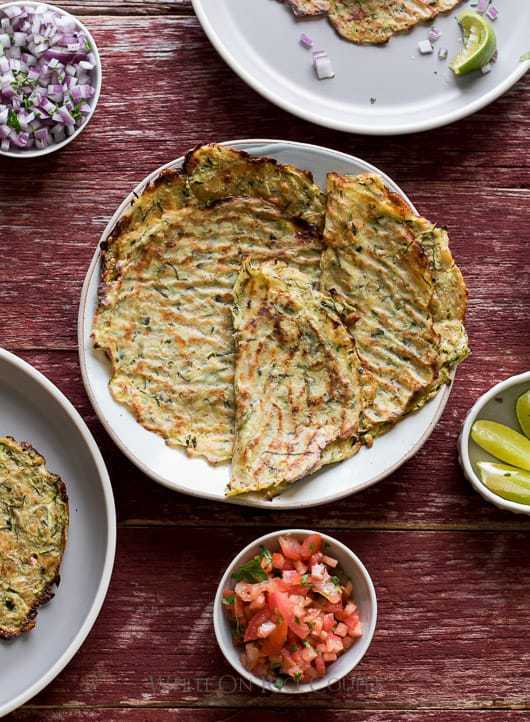 These tortillas are a great way to ease into the zucchini lifestyle, since they’ll bring out the best in the zucchini without tasting too bland or “goopy”. They can taste a little “eggy”, but this just means they make the ideal outer layer for a healthy and delicious breakfast burrito. spread them as thin as possible to get a real tortilla feel. This tortilla pie recipe has it all. It’s easy to make and tastes absolutely amazing. Whether you’ve got a craving for pot pie or a craving for quesadillas to satisfy or you want to try something new and exciting, this pie is the recipe for you. It has a unique taste that’s still similar enough to several great recipes, and is easy to throw together and pop into the oven. 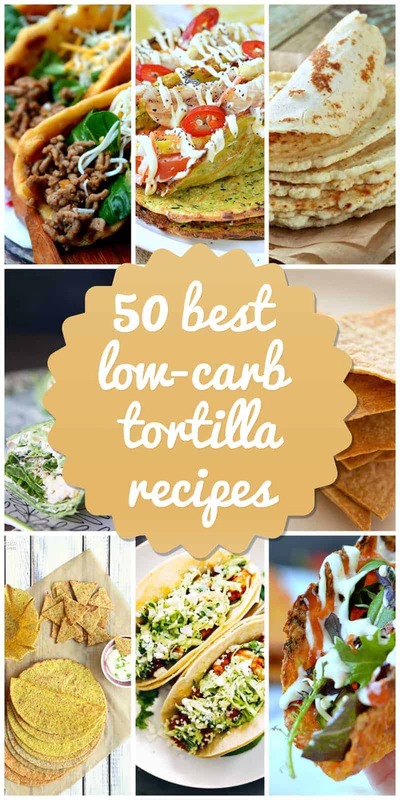 It’s got a low carb to protein ratio to start with, but replace the tortillas with any of the low-carb tortillas recipes on this list and you’ve got it covered! This recipe is everything you could want from a seafood recipe. If you are looking for something fun and easy to make with the low carb options you found here, absolutely give this recipe a try. The lime brings out the best taste of the shrimp, making it a meal you won’t soon forget. It’s easy to make, easy to eat, and it tastes wonderful. If you’re looking for a great way to add some protein to your diet, this is without a doubt the place you want to start. Shrimp is also very low carb which makes it an ideal fish to eat! 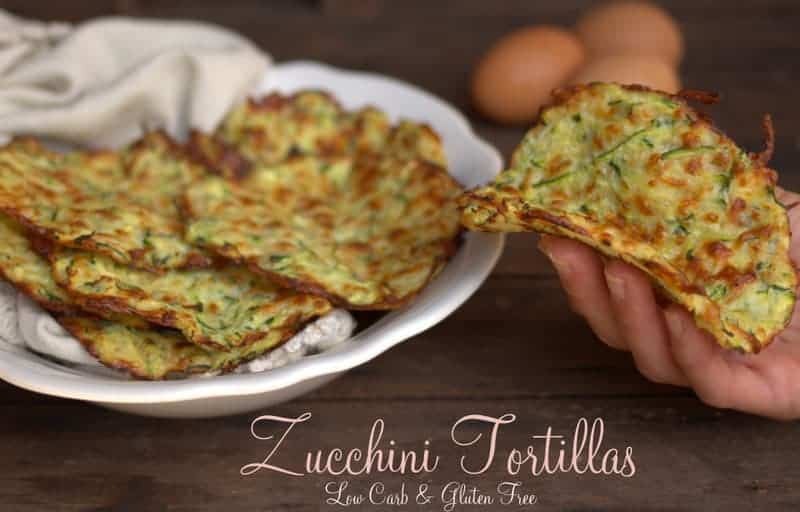 Like the earlier zucchini tortilla recipe, these tortillas are a great way to get a few extra healthy foods into your diet without having to worry about the taste. These tortillas, however, are a little bit crunchier and make a better snack food than the earlier tortillas. Give either of these recipes a try, especially if you’re still hesitant about the zucchini. Who knows? You may end up with a new super healthy favorite food! It is so versatile too that you can add anything to make it your favorite. 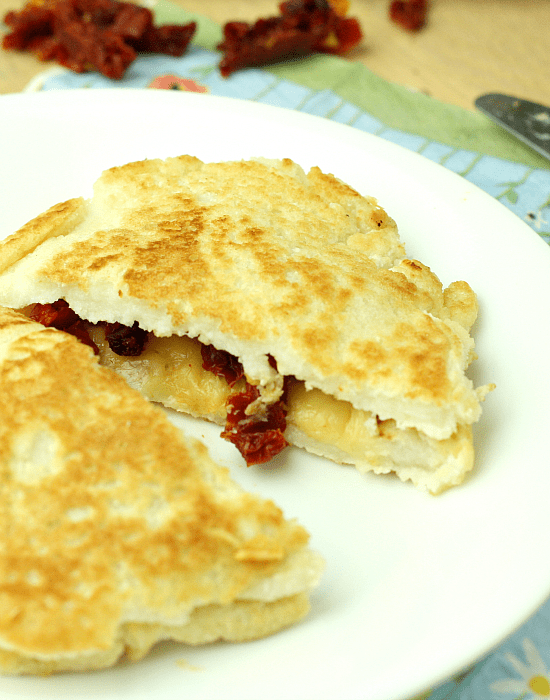 For those hard tortilla fans who have been waiting their turn, this is the recipe for you! This tortilla dough is made specifically for crunchiness and easy working. You can make the dough quickly enough and then shape it into whatever crunchy tortilla shape is your favorite. 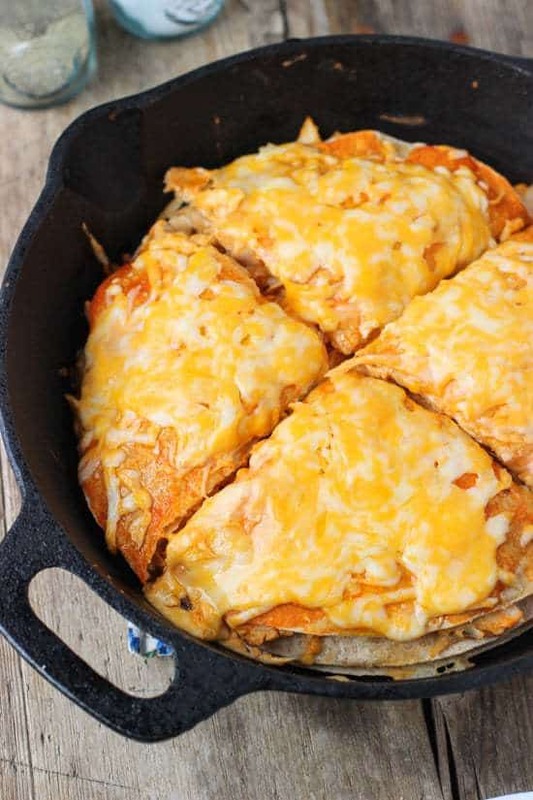 This tortilla recipe is great for tacos, taco bowls, low-carb tortilla chips or whatever else you might want your crunchy low-carb tortillas for. Cut small pieces and have some flavorful chips! This tortilla recipe doubles as a great makeshift pita bread. It uses konjac powder to achieve a great, sturdy consistency. 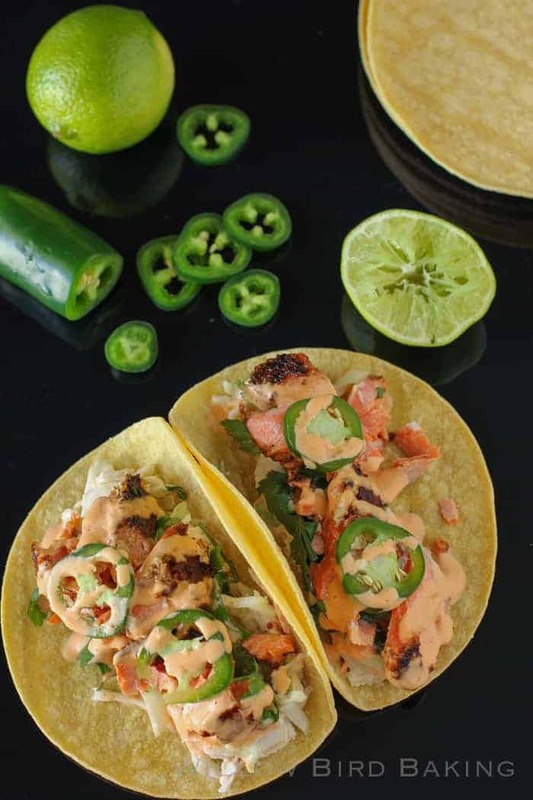 The added benefit is that konjac powder takes on the taste of the ingredients used, meaning you can season to taste or simply enjoy the great natural taste of these great tortillas! 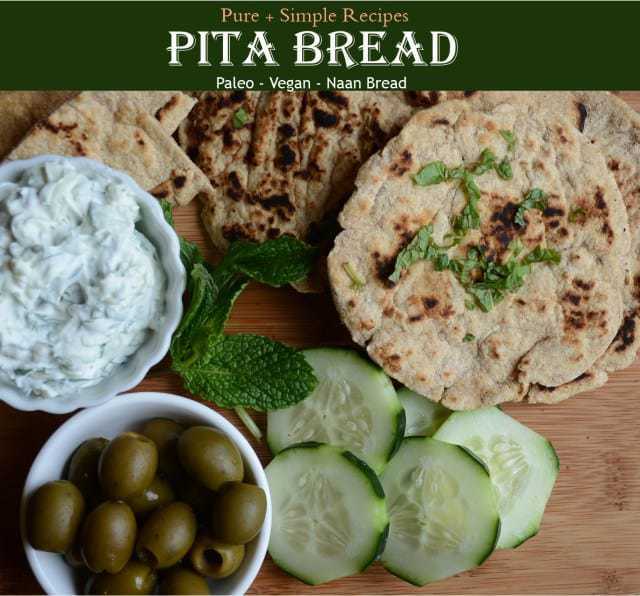 Try it with some of your favorite Greek foods. You won’t be disappointed! Add a few spices to make it even more special. 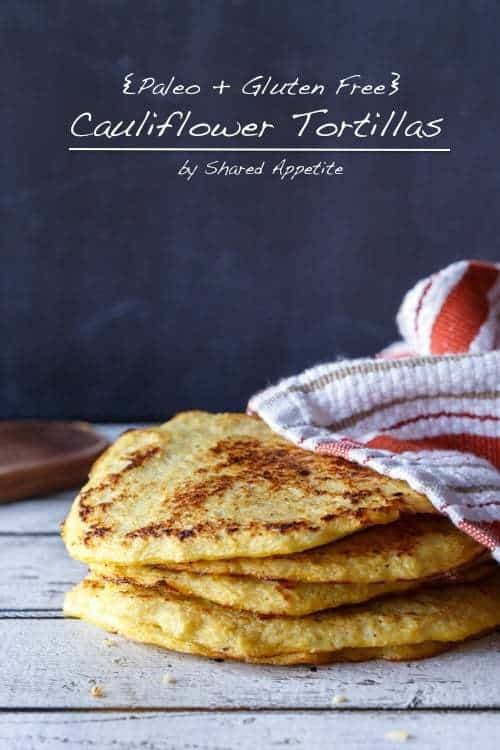 These cauliflower tortillas are a spicier version of the no carb tortillas mentioned earlier. The zestier taste makes them a great snack all on their own, or you can fill them with cheese or other ingredients. The lime flavor goes well with canned tuna, so try using these tortillas for fish tacos! 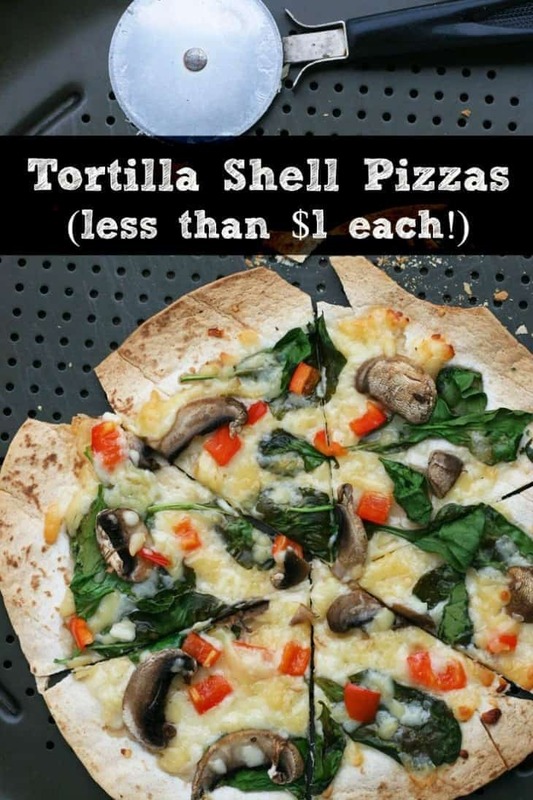 A super interesting and new way to make a tortilla. This recipe is another great way to get some veggies when we’re not in the mood to munch on salad. They are low in carbs, and the carbs left over are healthy carbs that are balanced by plenty of nutrients and fiber. They make good tortillas, and fun to look at. If you ever find yourself throwing a themed party that would benefit from a bright orange taco, this is your tortilla recipe! Try this recipe to make carrot tortilla chips too. 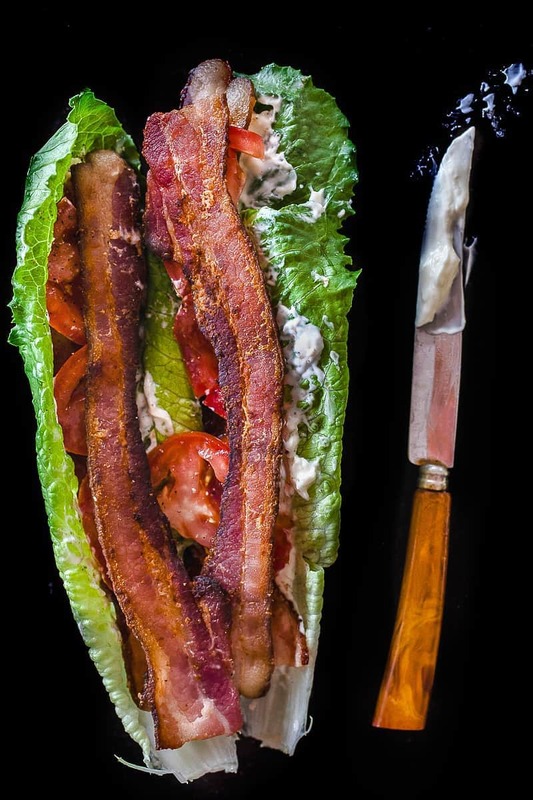 These wraps are a neat, slightly more involved version of the BLT lettuce wrap. They also come with a very easy to make recipe for basil-mayo, which serves to make a more unique wrap. This wrap has several layers, making it a filling meal that fits right into a picnic or a lunch to-go for work with little hassle or mess. It’s also a fairly cheap possibility for a totally carb free meal! Inexpensive and low carb is the way to go! If you’re a fan of guacamole, you’ll know that feeling when just made a big batch of guacamole you’re left searching for something to put some more guacamole on. Look no further! This lovely recipe will give you just the excuse you’ve been waiting for to munch away on some freshly made guacamole! Or, if you haven’t made any guacamole then this is a perfect reason to make some! Thank goodness guac is low carb and this tortilla recipe exists! Like chalupas? Love tortilla chips? This is the recipe for you. It’s a great way to cut down on the carbs in tortilla chips without losing anything from the flavor. These tasty tortilla chips are a breadier version of regular tortilla chips, but with all the crunch of a regular tortilla chip. Good for a keto diet and a low-carb diet, this flax seed packed recipe is as good as it is good for you! It’s a super recipe with a super food that will replace your favorite foods so well, you won’t even miss them anymore! This is one you have to try! 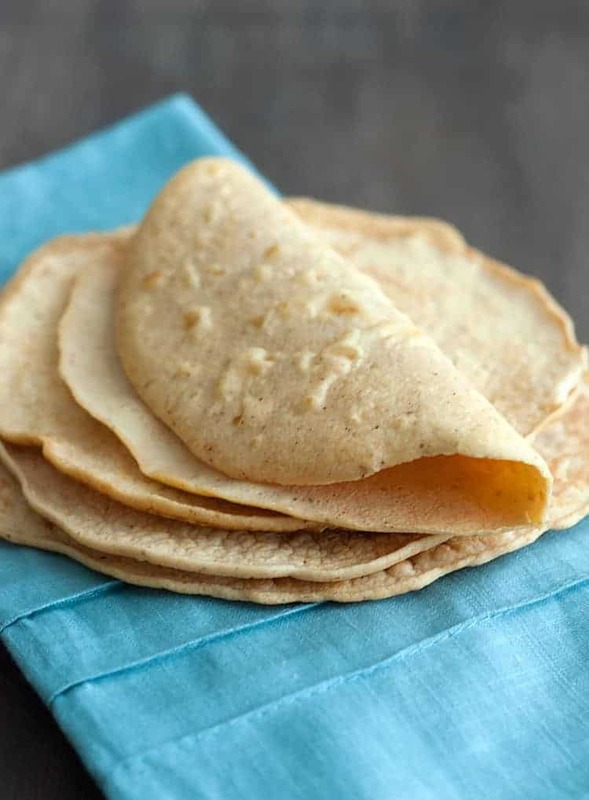 Another low allergen recipe, these tortillas are gluten-free, grain-free, nut-free, dairy-free and low-carb. Great for just about any diet, these tortillas are soft and smooth, wonderful for soft tacos or burritos. And the best part is, they only have 2.1g of carbs per serving! With the amount of fiber in comparison with the very little, mostly healthy complex carbs in this recipe, these might as well be carb free tortillas. What will you put inside?!? 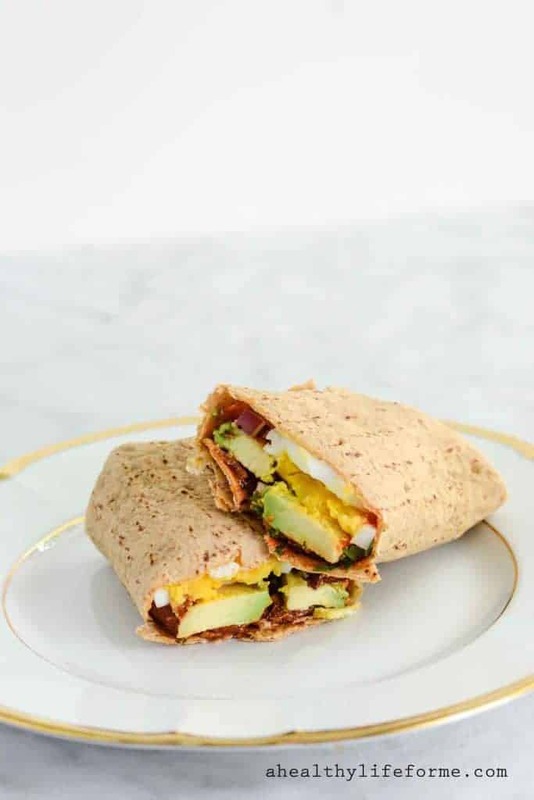 This egg and avocado wrap is a great way to start the day. It’s full of protein that will give you energy for those droopy morning hours. It’s also nutrient packed and low-carb. That avocado-y goodness with a few fresh eggs will do wonders to put a spring in your step early in the morning, no matter what the rest of your day holds! Add some spices as well ( a little cayenne will wake you right up!). Is your sweet tooth acting up? Finding good, healthy sweets that fit into a diet can be a pain, but this recipe is a great option for a sweeter breakfast food. Combining nature’s candy and smooth cream cheese, this recipe gives you a gooey, sweet, pastry-like meal that will put those cravings to rest. 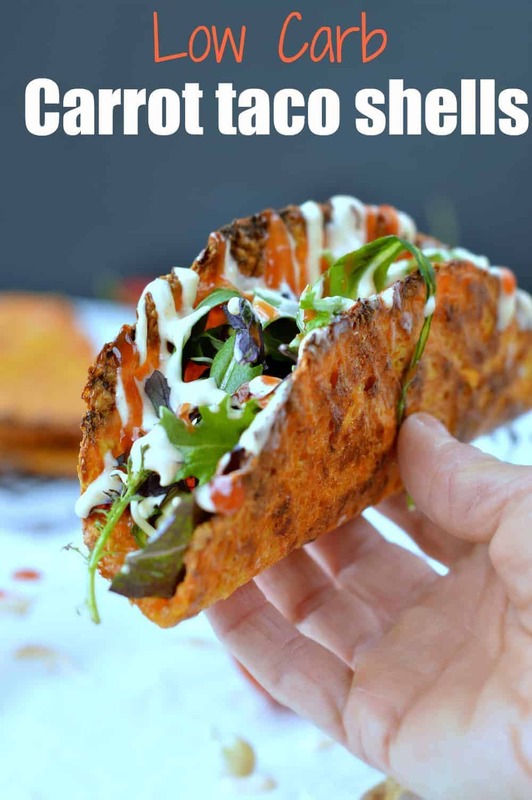 Try it with a few of the more versatile recipes from before and experiment with a few spices in the low-carb or carb free tortillas of your choice. For example, nutmeg or cinnamon make anything a great dessert food! Wrap these and then freeze them so you can pull it out to bake anytime you need a low carb dessert. Missing bread? Wanting to make a nice, thick sub sandwich? 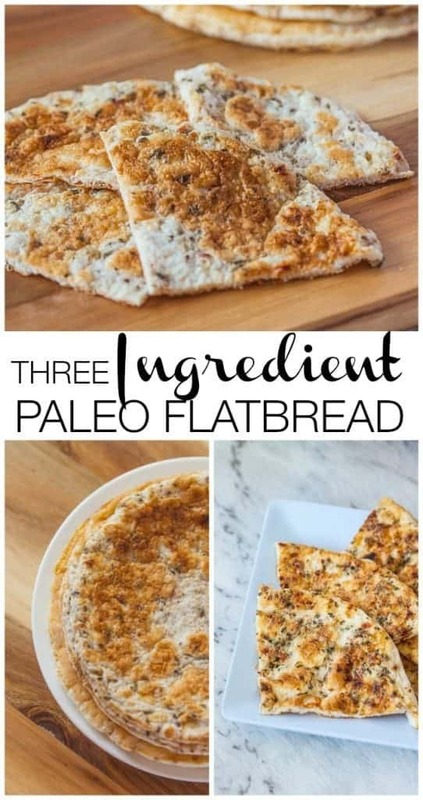 Try it with this Paleo flatbread! 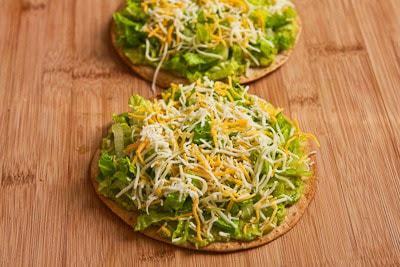 This flatbread only needs three ingredients, all of which are low in allergens and carbs. They’re easy to make, super healthy, and measure up to regular flatbread just fine. They can be baked to crunchiness for a great sandwich or snack food or left with a little bit more flexibility for a good wrap. This tortilla has several super healthy ingredients, and is low on carbs and allergens. It uses xanthan gum instead of eggs. This makes it more workable than a few of the low allergen recipes on this list, but still leaves it tasting fine. You can choose your spices to fit your dish, and this healthy tortilla will make a great addition to your meal. Now to decide on the fillings…. If you’ve been scratching your head throughout this list, wondering where to buy some of the stranger ingredients, it’s perfectly understandable. This recipe is just as good carb-wise, but all the ingredients are easy to find, cost-effective ingredients, making it quite the deal! The dough is soft and malleable, making for a tasty soft tortilla. This is one you could go on your kitchen and make right away! The switch from fried to baked is a great health choice, since it limits extra grease. Luckily, with low-carb tortilla chips, it often gives it a better, crunchier taste. These baked chips have all the crunchy goodness of regular tortilla chips, but without all the carbs and extra fats. They’re also easy to make. Mix the ingredients and you’re good to go! How simple is that! This cauliflower recipe is great because unlike the earlier recipes, it goes a little more into detail about how to get the grainy texture out of a head of cauliflower. You might be able to buy prepackaged grained cauliflower for a quick and easy preparation, but whole heads of cauliflower will be much fresher. Cauliflower does it again! 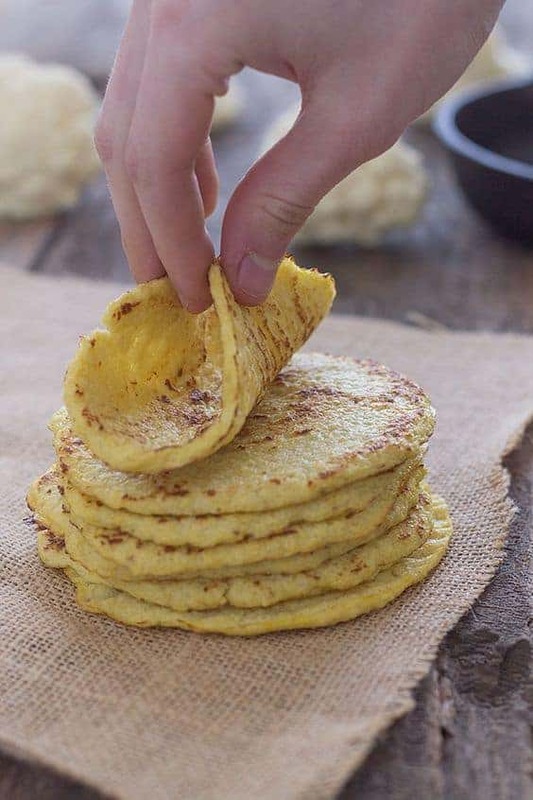 This recipe will not only give you an excuse to use your new low-carb tortilla making skills, but it might even make your life easier! Instead of having to work with pizza dough and making your own crust, you can grab one of the quicker recipes from this list and slap together a delicious, healthy pizza in no time. Add a few veggies, and you’ve got a meal that’s healthy, filling, and… well… pizza! Need we say more? Pizza and tortillas- how can it get any better than that. If you want a high protein, low-carb meal packed with veggies, you’ll love this recipe. Spinach is a great source of iron, and combined with cream cheese and the right spices can be a tasty, creaming filling. 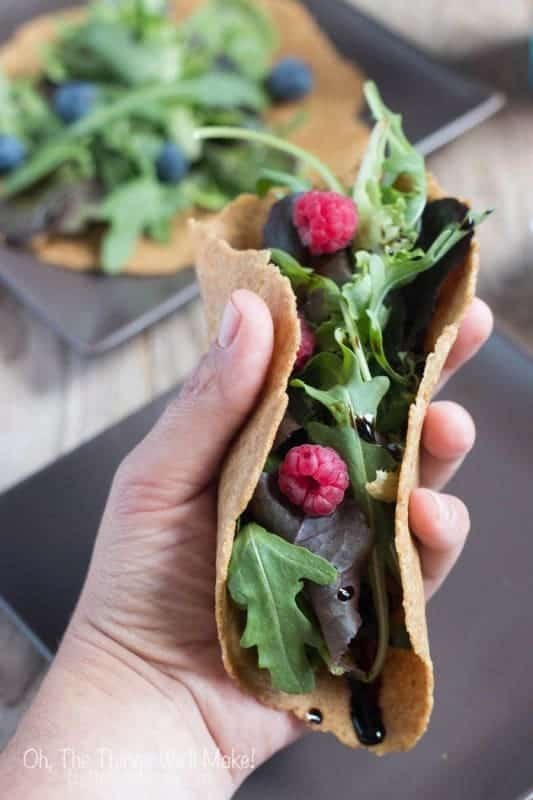 This extremely healthy wrap will really satisfy your hunger without you needing to worry about breaking a diet, and the taste will leaving you wanting more! You’ll be shocked that you made this with your own two hands! 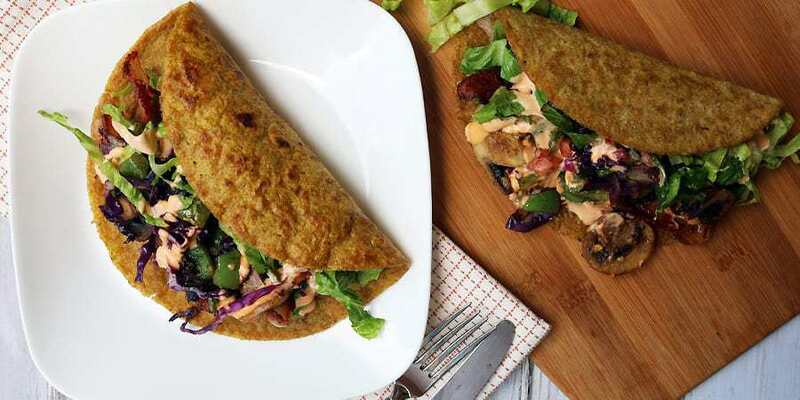 This low-carb tortilla recipe is only of the only vegan options on this list. 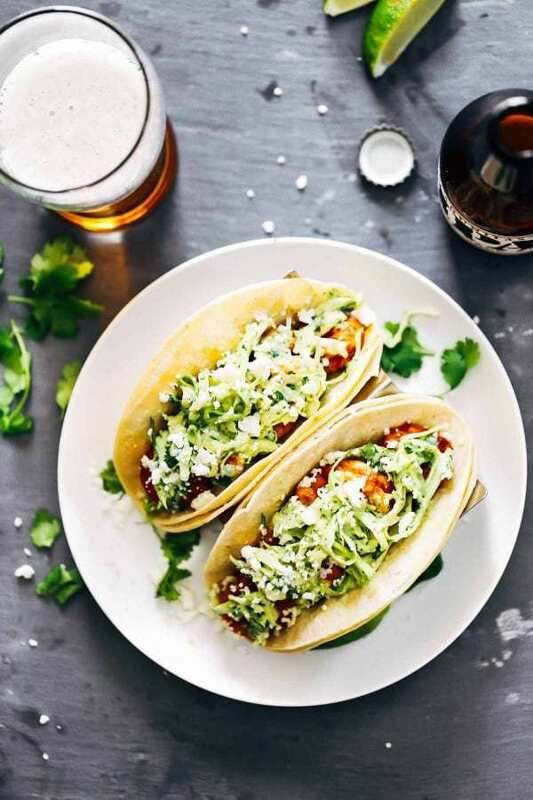 It uses chia seeds and tapioca flour to give it a soft, chewy texture that is perfect for a veggie-taco. This tortilla goes great with a few of the spicier and crunchier vegetables, such as sprouted beans, peppers, carrot shavings or whatever else you’re feeling at the moment. Isn’t it great to have options? Cheesecake and quesadilla- this must be heaven. Another spectacular dessert recipe, this mouthwatering strawberry cheese cake and quesadilla hybrid is a must have for breakfasts, after a meal, or just for a snack. Even the base, a cheese-stuffed, cinnamon crusted pair of tortillas looks beautiful and super tasty. Add those strawberries and you’ve got a delicacy that will make you forget you’re even on a diet. After all, what could possibly be better than that? Nothing! 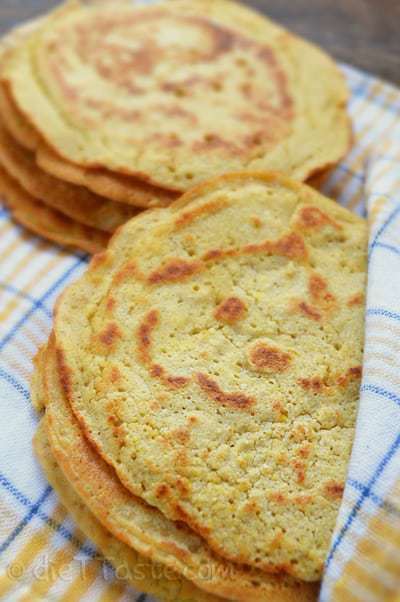 For a soft, spicy-sweet tortilla, try these chickpea flour tortillas. They’re low sugar, low carb and gluten free, but they still manage to have a great blended flavor just a little on the sweet side that goes amazingly well with chicken curry or a salad mixture with sweeter Italian dressing. They’re simple to make, too. Just blend them together, let it settle for a few minutes and fry them up and you’re good to go! This is a tortilla that you will love to use for all sorts of things. 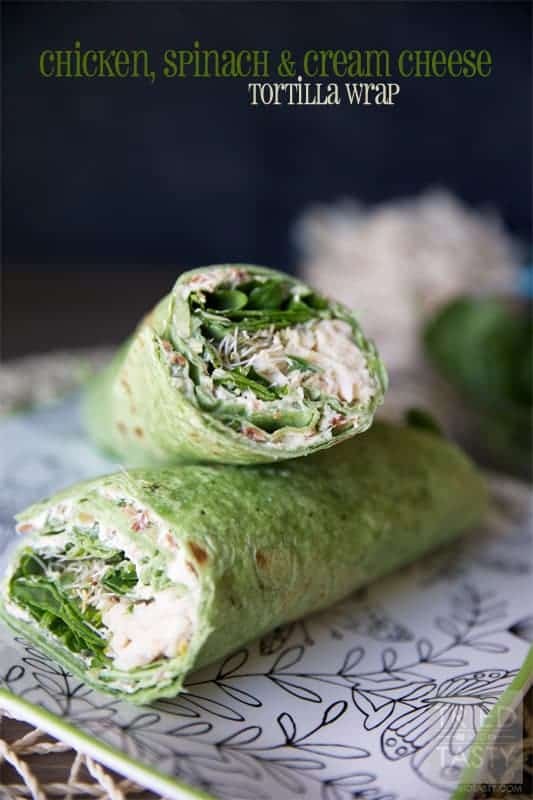 For a saltier version of the earlier cream cheese spinach wraps, this spinach and feta wrap recipe is here. Feta and spinach is one of the healthiest and tastiest combinations out there. A good feta will be totally lactose free, but full of proteins, while spinach is high in nutrients and fiber. This recipe might be a little “dish intensive,” but you can freeze them and have them ready to go at a moment’s notice when you’re feeling hungry so definitely make a few extras. . Absolutely worth the effort! 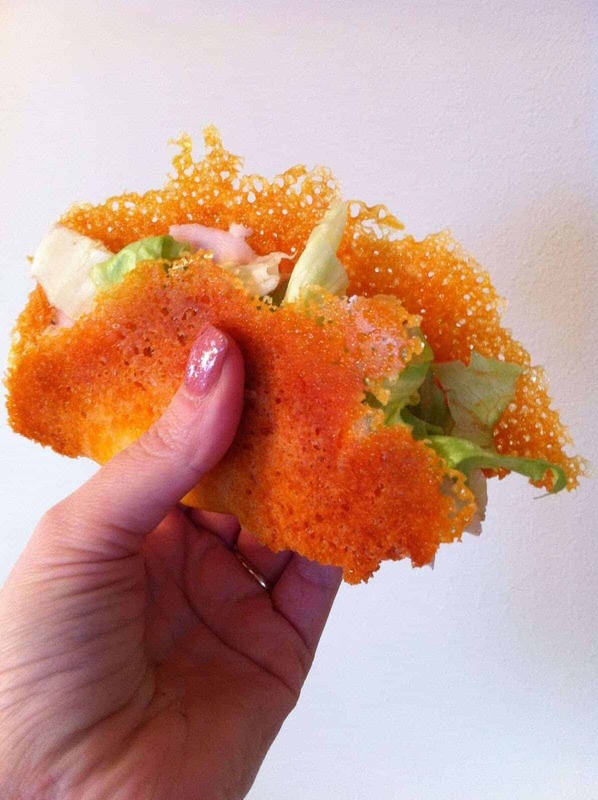 A taco shell made completely out of cheese is like a dream come true. This totally carb free recipe is surprisingly good, and both a simple idea and simple execution. 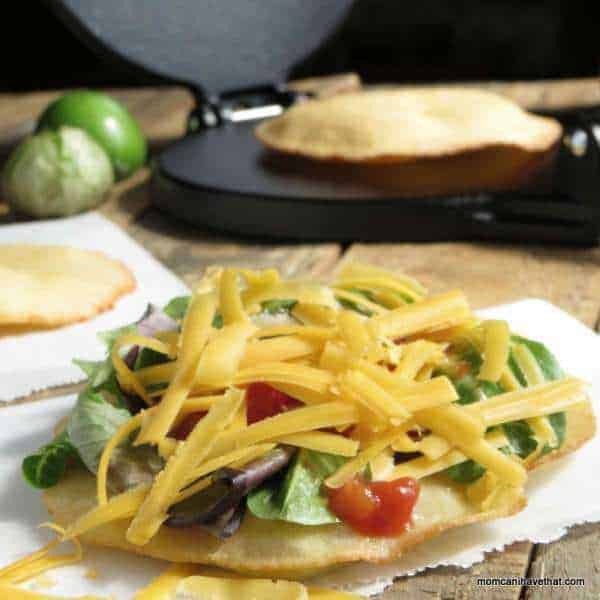 Rather than adding different flours or grains, this tortilla recipe just takes the easiest approach and makes one of the taco components into a taco: spread your cheese as thin as possible and bake it to a crisp and you’ve got one yummy taco without a single carb! 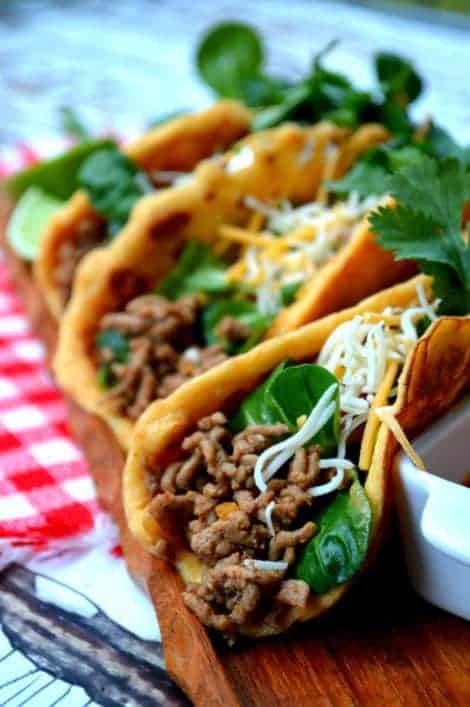 This is great for traditional tacos, which are usually made with plenty of cheese anyway, or any one of the recipes on this list you think might go with some extra crunchy melted cheese tacos. 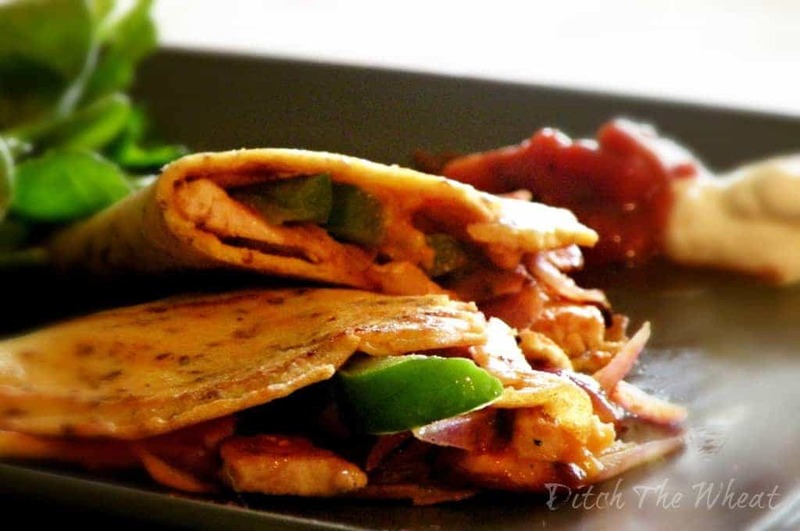 Looking for a no carb tortilla filling with a spectacular low-carb tortilla recipe? Try out this scrumptious meal! This dish will blow you away. It’s low carb, full of veggies and good, lean proteins, and it looks and tastes amazing. From the gooey cheese to the crispy outer crust, there’s nothing not to like in this recipe. Absolutely perfect! Gottta love that cheese is low carb! This paleo recipe is a great way to make something a little more exotic. Plantains are healthier option than most grains, and they have a unique taste that goes great with tomatoes, garlic, mayo and more. They’re sweet, but not too sweet, and just a little bit chewier than most tortillas. 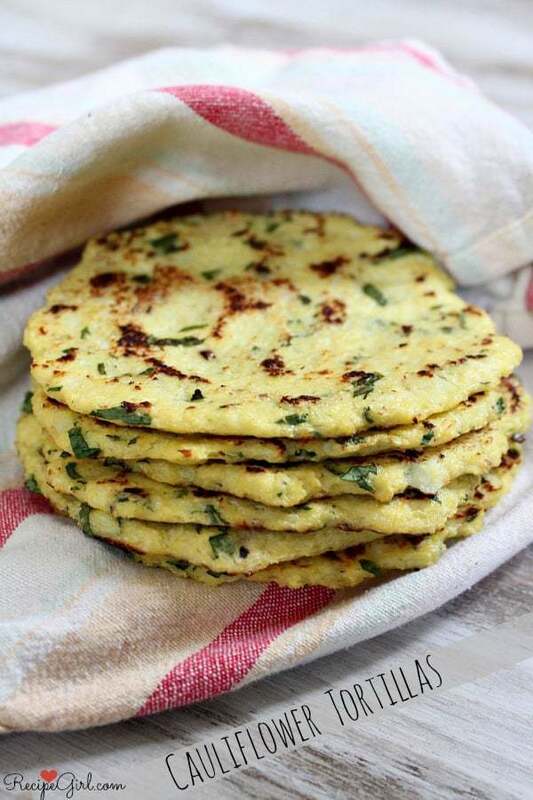 These plantain tortillas are good for a snack, with a dip, or with any number of Caribbean recipes. Great for a little adventure! Who needs traditional tortillas anyway! If you’re on a vegan diet, you’ve probably heard about or experienced what a great meal a toasted pita with some olive oil can be. 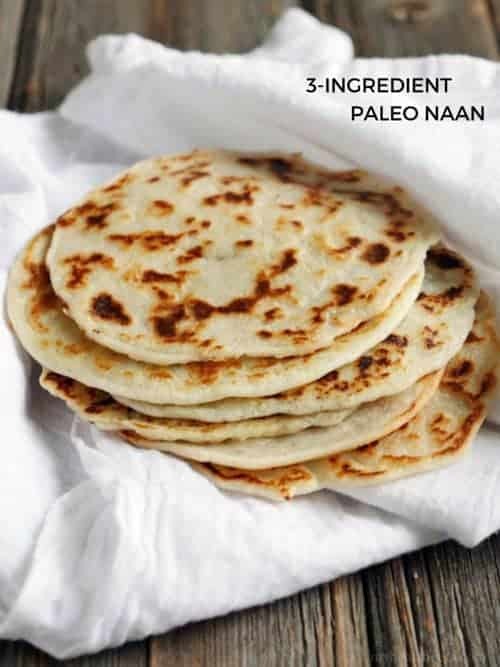 If you’d like to cut down a little on carbs or starch as well, this low-carb tortilla recipe doubles as a great recipe for pita bread and Naan bread. It only takes a few simple ingredients, too, meaning you can prepare it in under ten minutes, slide it into the oven, and in no time you’ll have a healthy, tasty snack. A step away from the tortilla but delicious just the same! Another great vegan option, this tortilla is made with flaxseed, making it a super healthy low-carb choice. It’s also very thin and flexible, so if you’d like to make a veggie wrap or tortilla, you’ll end up with a spectacular carb to fiber ratio, which is the real goal of any low-carb diet. Try spreading some no carb dip on it to make it a little more moist, and you’ve got a spectacular meal on your hands! Stuff this tortilla with whatever you’d like! This paleo-approved tortilla is made with tapioca flour, which gives it a creamier texture that might even be better than wheat tortillas. It’s gluten free, too, which makes it very practical for a diet. It’s got a simple, neat taste that goes well with just about any meal, whether it’s salty or sweet or somewhere in between. It’s also sturdy and malleable, meaning you can wrap it, fold it or use it for a soft taco. Make a big batch and freeze a few for later! Another of the great low-carb tortilla chip recipes, this recipe is as close to carb free tortillas as you’ll get. The only source of carbs in this recipe are from almonds, which are also packed with iron, healthy fats and other vitamins. They’re nice and crunchy and taste great with guacamole, in a taco salad, or with salsa. You can also vary the spices to suit your own tastes or your own meal! A spectacular seafood recipe, this recipe has a great blend of flavors and nutritious ingredients. It’s zesty, sour, salty and with just enough of an edge of spice, all of which do wonders to bring out the natural flavor of the salmon. You can also prepare the sauces separately and use them as dip for a low-carb tortilla chip, or you can store it for when you’d like to make more tacos. 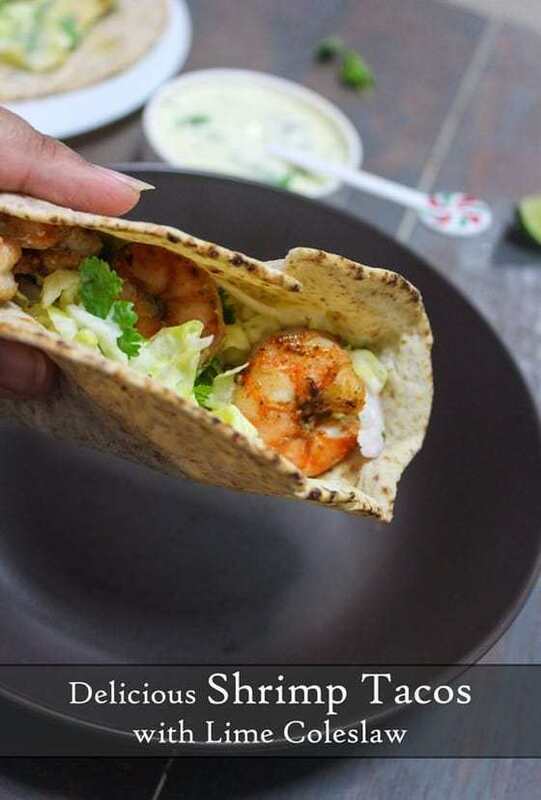 Speaking of lime slaw, this shrimp taco is an excellent way to use up any leftovers, and it’s a great recipe if you want to try something new as well. This spicy shrimp is a shade healthier than most deep fried shrimp you’ll find in restaurants, making it a wholesome source of protein and a great component for a great combo of flavors. Baked cheese is one of the best diet foods you can find. Cheese is great snack food on its own, but baking it will give it that extra little crunch that’s harder to find in a low-carb diet. 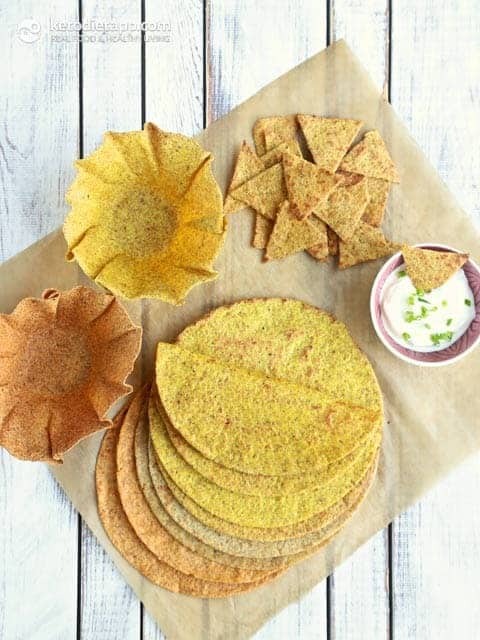 This recipe is an excellent way to make carb free tortillas and taco shells that go perfectly with most taco ingredients, but it can also be used to make tortilla chips from no carb tortillas with just a little extra creative cutting. You can also use this recipe to make tasty chips. Naan bread is a great part of Indian food, practically a necessity for the more intensely spicy foods that Indian cuisine has to offer. 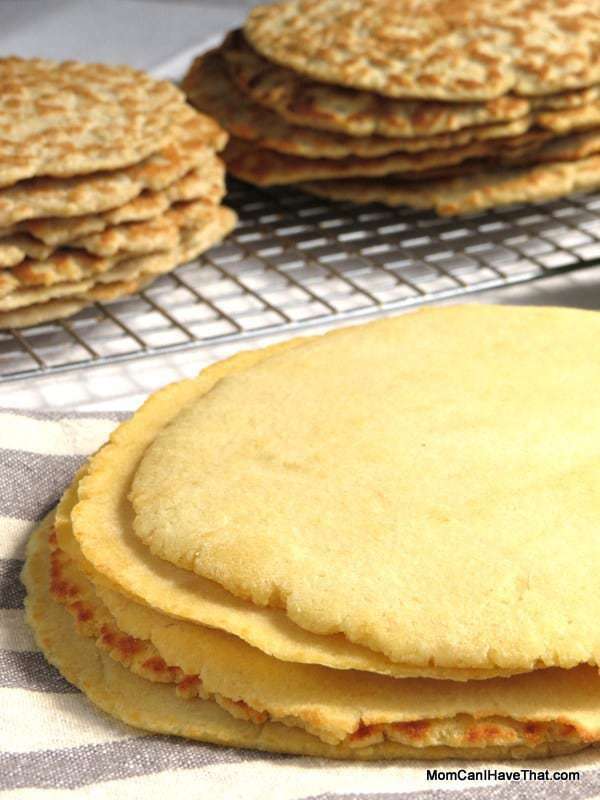 This incredibly simple low-carb tortilla recipe works just great as Naan-bread. There are only a few, fairly easy to find ingredients and the prep time is just a few minutes to mix the ingredients and a little bit of time to flip the tortillas in the oven. You can churn out tons of this bread whenever you have a little time on your hands! Gotta love easy diet foods that also taste amazing (just like these!). This carb free tortilla recipe is another great way to get used to zucchini. The ingredients are a little better balanced than the earlier recipes, meaning this tortilla recipe is all veggie and protein. With a bit of cutting and baking, you can get yourself a crispy, tasty chip that has none of the normal amounts of carbs in tortilla chips. It is incredible what a zucchini can do when properly handled. These soft, gluten free tortillas are somewhere between a regular tortilla and pita bread. 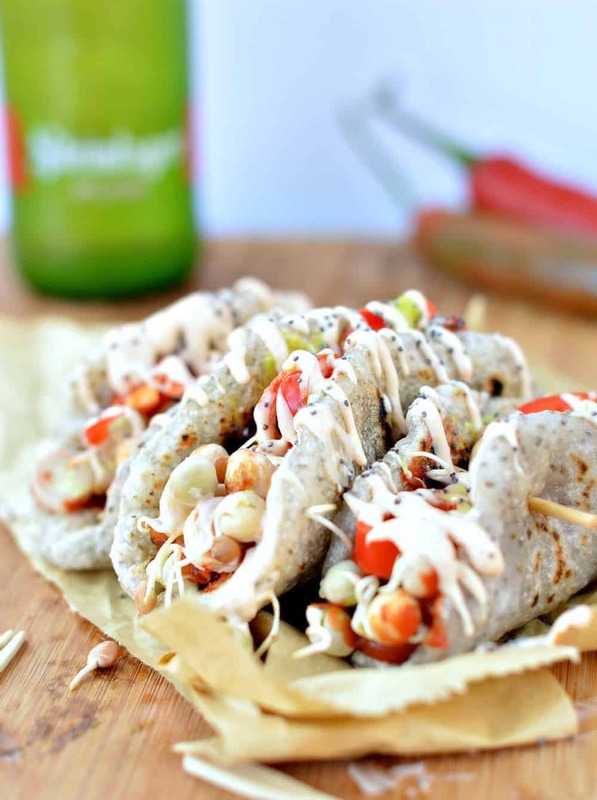 They are amazing with gyros, but they’re soft enough for burritos, soft tacos and more. You can even toast them with some toppings like olive oil, peanut butter or sugar-free jam. Of course, you can always just opt for lots of cheese in the center of these beauties. They’re a great snack food or ingredient for tortilla based meals! This low-carb tortilla recipe makes a grain free tortilla that tastes and feels a bit like whole grain bread. If you’ve been making steps towards healthier meals and got used to whole grain bread in the meantime, this is absolutely the recipe for you. Start here and then add a few spices and herbs to make it your own. Just as versatile as the earlier recipes, these tortillas are full of fiber, with a unique taste and good texture. Great with sprouts and assorted salads! If sub sandwich places have taught us anything, it’s that cutting down on carbs by switching from bread to flatbread still makes a great sandwich- no need for all those extra carbs of full bread. . Take it one step further by switching to a low-carb flatbread. Made from coconut flour, this flatbread makes a perfect base for a sandwich. The coconut flavor fades into the background, meaning that whatever spices you add to this recipe will give you the taste you want. Truly amazing! Last, but very much not least, this dessert recipe will leave you wishing you’d switched to low-carb sooner. This recipe is good with any tortilla recipe. 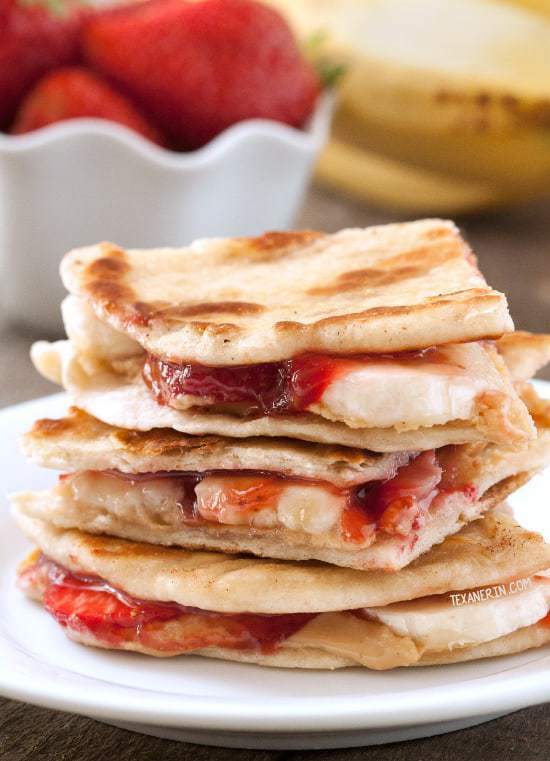 If you can get your hands on some no carb tortillas and sugar free strawberry jam, this recipe is ridiculously low-carb for something so incredibly delicious! The strawberries, bananas and peanut butter combine into the most amazing, healthy desert you can imagine. The best way to end the day and the perfect recipe for the end of this list. Finding good low-carb foods for a diet can be a pain. But with a few of these carb free tortilla meals, you can really some awesome filling meals. It can be a great way to get some more veggies into your day-to-day meal plan, replace desserts with more wholesome sweets or just try something new that you know is going to be great for you. Switching to healthier options can be hard enough, but with these recipes, it might just be possible to stop worrying about the little things, like the amount of carbs in tortilla chips, and instead feel fulfilled and proud of how you’re taking care of yourself, both by eating foods you can enjoy and by eating foods that are good for you, and doing them at the same time. Oh yea, and you’ve been doing some great cooking at home too I bet! In the end, a diet is all about you and your body. It’s not about the perfect foods or the hardest meals. When you look through these recipes, remember to pick something that sounds great and find a way to make it suit you. Good luck and bon appétit!